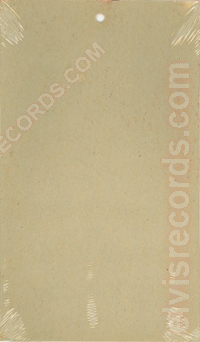 Disc: Orange label. 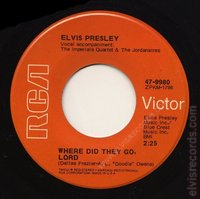 On the WHERE DID THEY GO, LORD side, title on two lines where LORD on own line. 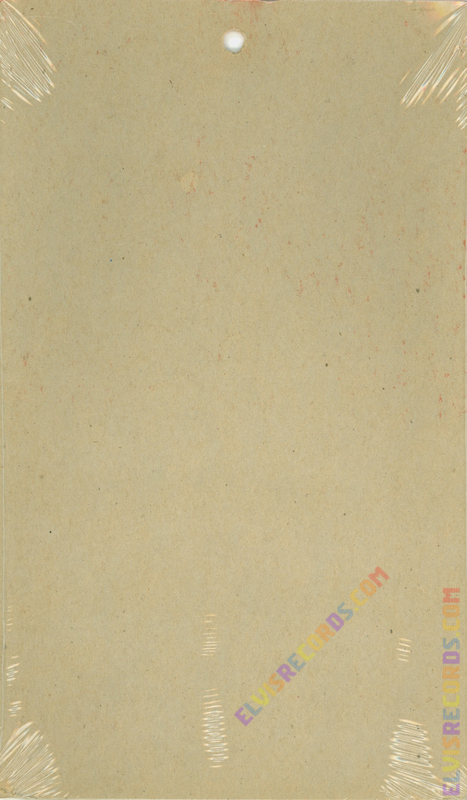 On top, Vocal accompaniment: on one line. 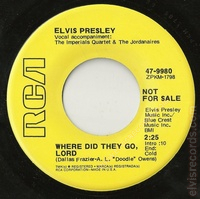 The Imperials on one line and Quartet & The Jordanaires on another line. 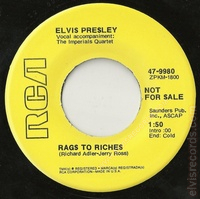 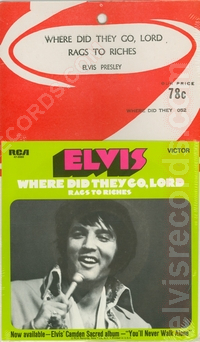 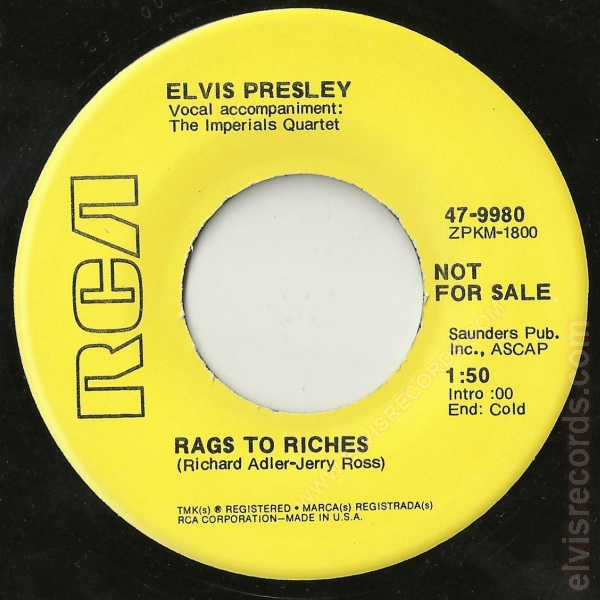 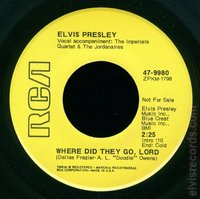 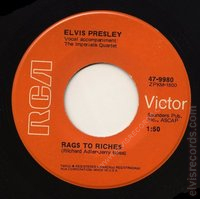 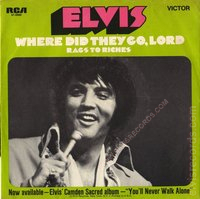 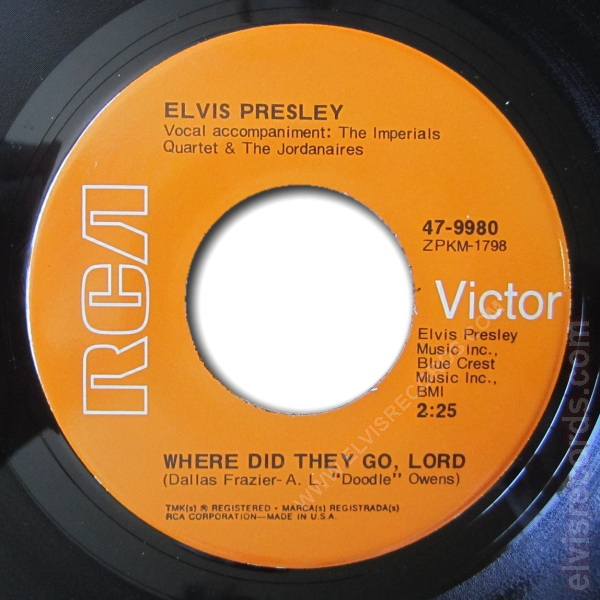 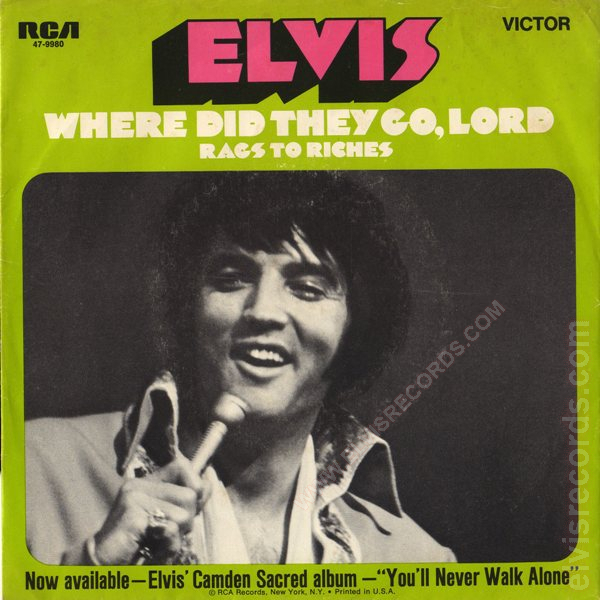 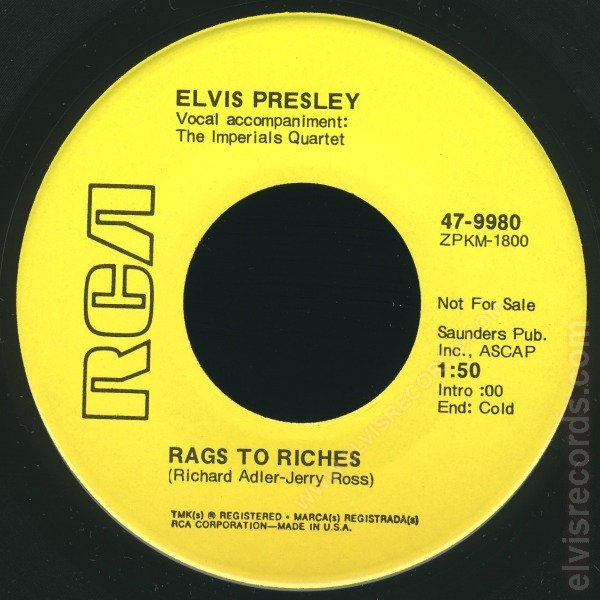 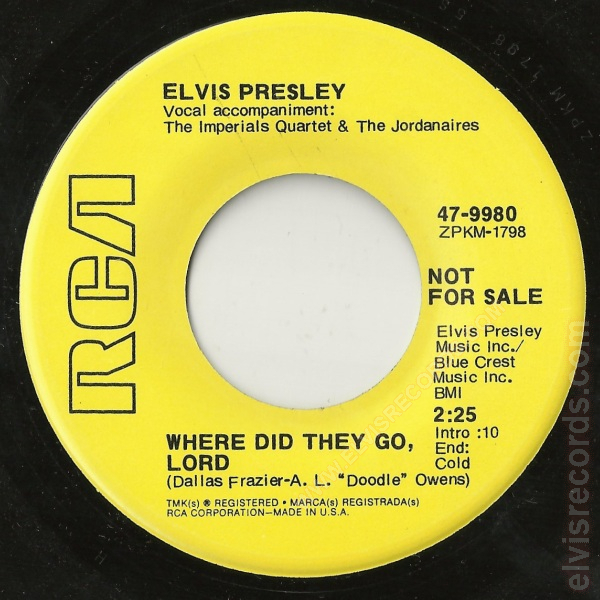 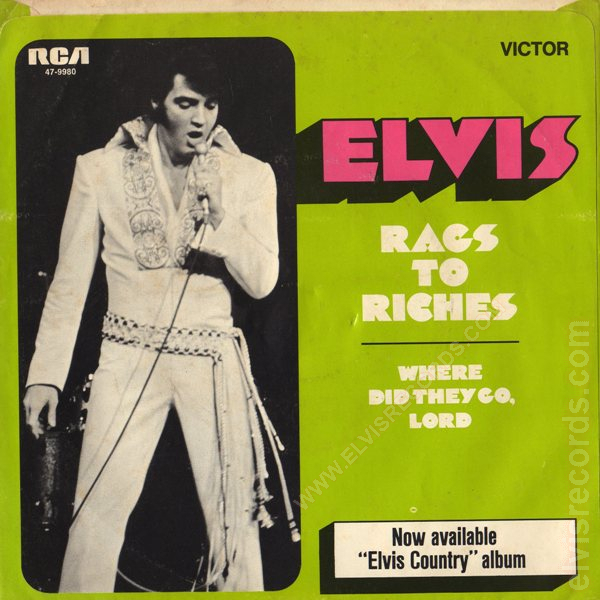 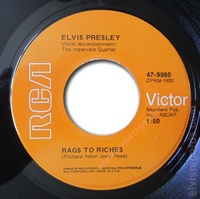 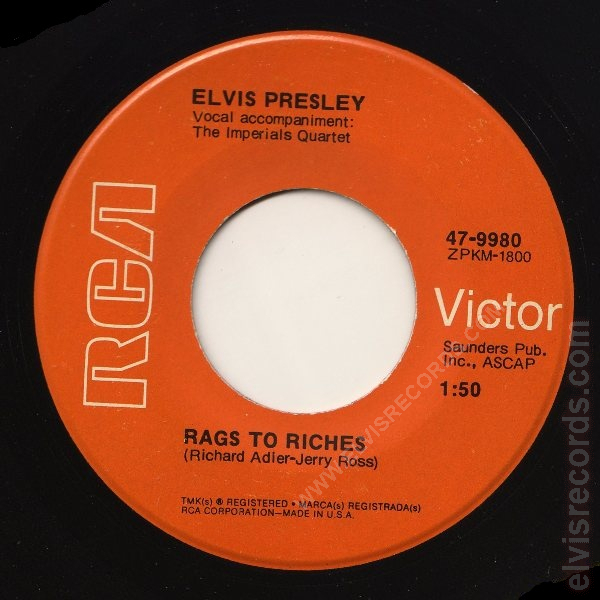 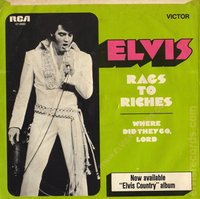 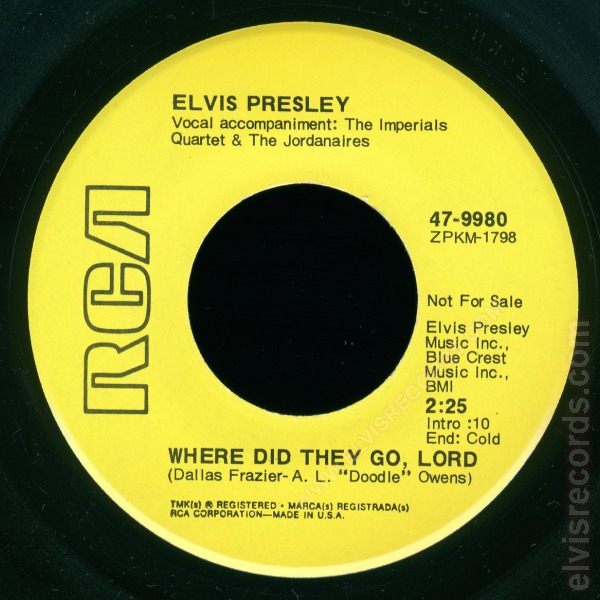 Re-released by RCA Records on 45 RPM as Where Did They Go, Lord / Rags To Riches on the Gold Standard Series label.